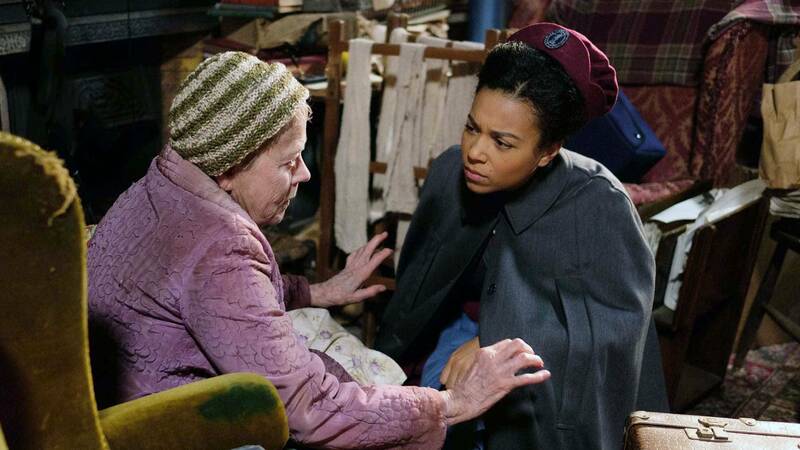 The season finale of Call the Midwife was equal parts tragic and joyful; I shed many tears throughout the episode! The heartbreak of Wilma Goddens’ sudden death, leaving behind her husband and three young girls, was devastating. 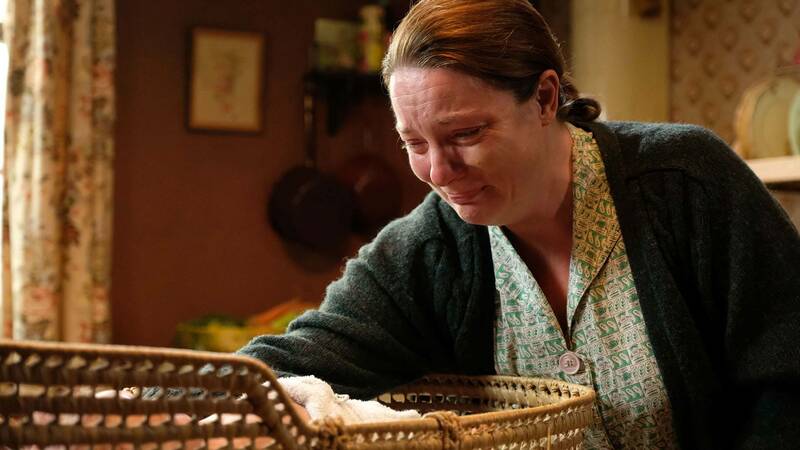 However, the culmination of Shelagh’s pregnancy and her long-awaited baby, Barbara and Tom’s wedding, and Patsy’s return contrasted that sorrow with such overwhelming joy. 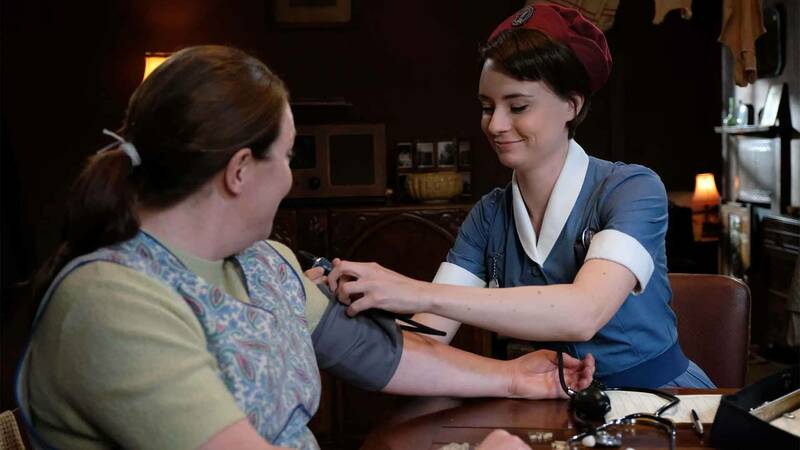 I thought the juxtaposition of the two emotions was a clever representation of nursing and midwifery. The bad times can be crushing, but by and far, there is so much joy. We also must find that delicate balance of being able to go on with our lives and our jobs after the difficult times; each one of these experiences changes us. We grieve with our patients and their families, and sometimes in the same day, have to celebrate with others. Trixie showed us a real example of this with the way she cared for Wilma, taking the time to make her look familiar and presentable when her children came to see her before she died. I could almost feel what Trixie was feeling in those moments, and in the moments where she was alone with Wilma after her death. It was inspiring to see her compassion and gentleness with the Goddens children, and relatable to see her break down after everyone else had left. I have been in that situation before, most often as an emergency room nurse before I was a midwife. The death of a patient affects you so deeply, and I would often go home in tears, unsure how I could go back again to work the next night. Yet, we always did, because there were far more people that we could help to get better than people that we lost. 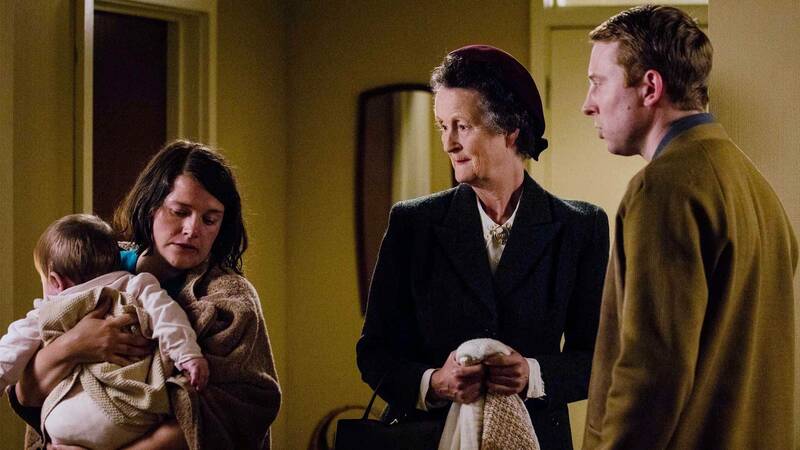 I also spent the first part of this episode feeling so anxious about Shelagh and her impending birth. 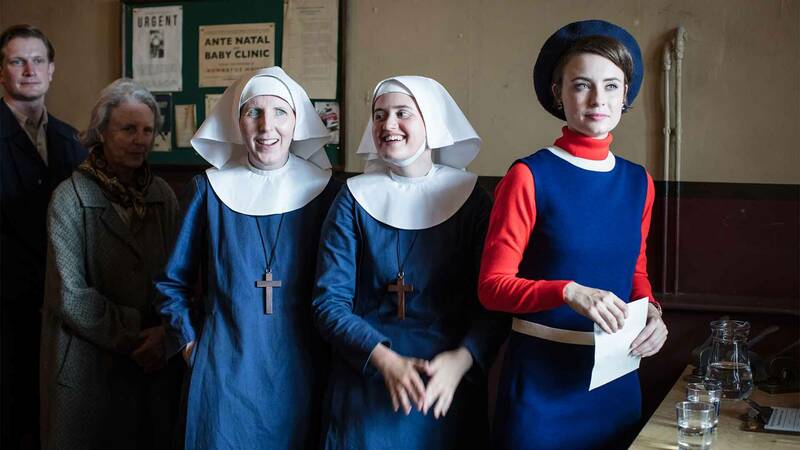 The characters from Call the Midwife seem like old friends by this point, and I feel so invested in their lives. After all that she and Patrick have been through, and the worrisome start to her pregnancy, I just wanted to see that baby out and healthy. I imagine Shelagh and Patrick felt the same way! Watching Shelagh in labor reminded me a lot of myself and my first labor. The vomiting, the long labor, and the almost embarrassment or shame that, as a midwife, I could not be braver or stronger through it all. Shelagh was lucky enough to have her trusted friend, Sister Julienne, by her side throughout, and at the end, Patrick. She also had some good gas and air! I’m still waiting on our hospital to get nitrous oxide for pain relief in labor… Sadly, it will not be in time for my upcoming birth! While I was not able to have the gas, I was able to get an epidural (which kind of worked, and at least helped me rest for a short while), and to have one of my wonderful midwifery partners, Lorie, as well as the support of my husband, mother, and mother-in-law. Watching Shelagh’s baby being born brought back all of those emotions and memories from my son’s birth, and made me look forward to doing it again. Because birth is so, so hard, but it is also so, so worth it. I feel like I have a “dream team” assembled for support going into this next birth. In last week’s blog post, I talked about how important support is to get through difficult times, stress, or major life changes, and having a baby is no doubt one of those times! One of my best friends, who I met in midwifery school, is going to be attending my birth as my midwife. I have an amazing doula (professional labor and postpartum support person – trust me, they are amazing!). Of course, I still have that same wonderful husband, mother, and mother-in-law. I feel somewhat prepared and hopeful going into this labor that I can do it without the use of an epidural this time. I know that labors are all very different, and I also know that I don’t know what to expect, but my team will help me through whatever comes up. The shock and happiness on Shelagh’s face as she reached down and felt her baby’s head brought instant tears to my eyes, and even though I know labor will be difficult, maybe long, maybe very painful, I am choosing to welcome it. That moment when your baby emerges into this world is like nothing else. It is the purest joy I have ever felt. I, like most second time moms, sometimes wonder how my heart can expand to feel the amount of love and happiness that comes with having a child for a second time, but somehow, watching Shelagh give birth reassured me that it will. 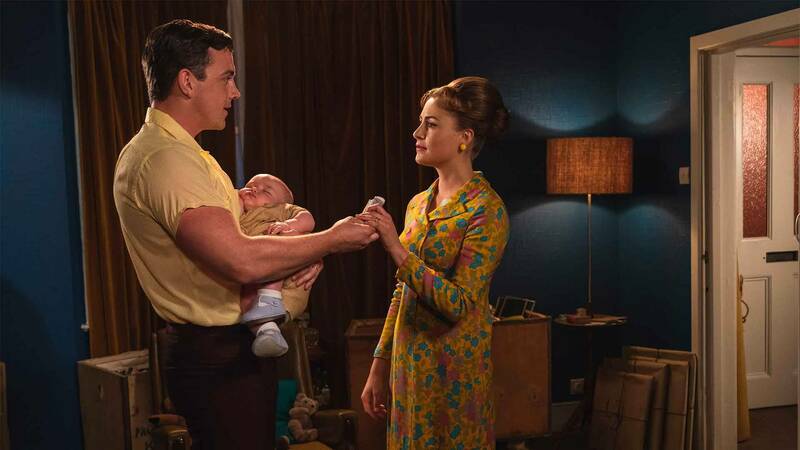 While I am somewhat in denial that I have to wait an entire year for the next season of Call the Midwife, the time between seasons will allow me to settle into life as a mother of two, and another year of midwifery practice under my belt. I can’t wait to see what the next year, and season 7, will bring us!